May 11, 2008. Tags: cheese, ham, muffins, onion, savoury. Baking, Cheese, Ham, Muffins, Onion, Savoury. Mmm. Thanks for the recipe. 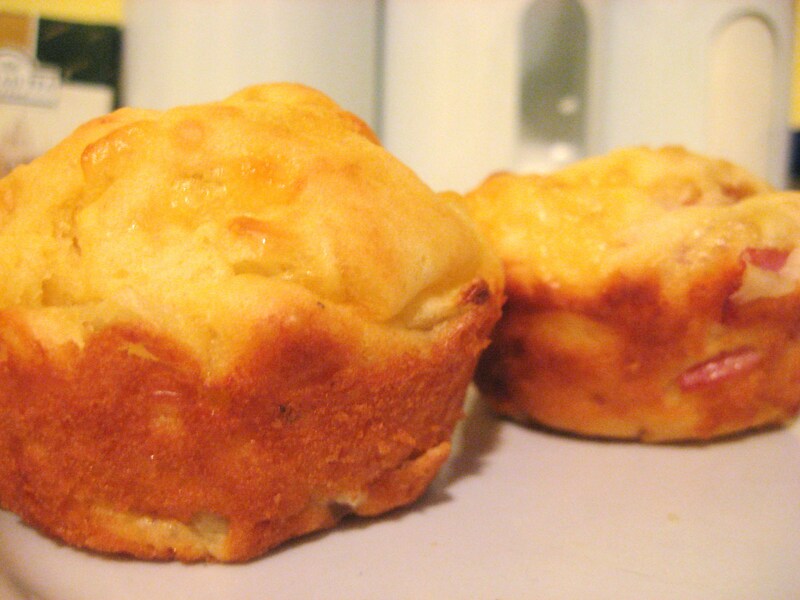 I love savoury muffins. June 22, 2008 at 8:33 am. Permalink. Just made this recipe and they are delicious. I was fortunate enough not be be flatting and have a herb garden. A handful of chopped parsley and chives were added pls the ham and onions. Next time I will pull a carrot and microwave it to soften and partly cook it – then dice it up and add it to the mixture for some extra colour and taste. April 25, 2012 at 12:35 pm. Permalink.